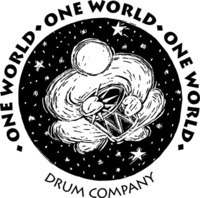 Welcome to One World Drum Co.'s online registration. Please provide your information below and hit submit when complete. Please note that a credit card is required to register. Charges will not be automatic. Even though many of you have been OWD students before this is a new system so you need to fill out all the information. Thank you in advance for your registration! If you wish to withdraw from a One World Drum Co. Single workshop 1 week's written notice must be provided to the director for full refund. If you wish to withdraw from a One World Drum Co.'s semester class 1 month's written notice must be provided to the director on the 1st of the month. One full month after notification of withdrawal, automatic payment will be terminated. If fees have been paid partially or in full, a refund cheque will be provided for the remaining amount. If you will be missing a class, you are requested to call the studio @ 403-217-6790 to notify OWD of your absence. There are no refunds for missed classes. Students may contact the studio to inquire about make up classes in the same or similar class during the week. OWD reserves the right to cancel classes during inclement weather or other emergencies. All families affected will be contacted if this happens. Tuition is due at time of registration and will be billed to credit card or bank within 1 week of registration. If you are paying monthly tuition is due on the fifteenth (15) of each month. The first month's payment will be made within 1 week of registration to ensure placement in class. If accounts are paid after the twenty-fifth (25) of the month, there will be a $15.00 late fee applied to the account balance. There is a $30.00 returned check charge for any payments returned by the bank. I release and hold harmless The One World Drum Co, its owners and operators from any and all liability, claims, demands, and causes of action whatsoever, arising out of or related to any loss, damage, or injury, including death, that may be sustained by the participant and/or the undersigned, while in or upon the premises or any premises under the control and supervision of The One World Drum Co., its owners and operators or in route to or from any of said premises.